this event has come and gone. We will update this page with info about next year's Sunset Park Concerts as soon as we have it. 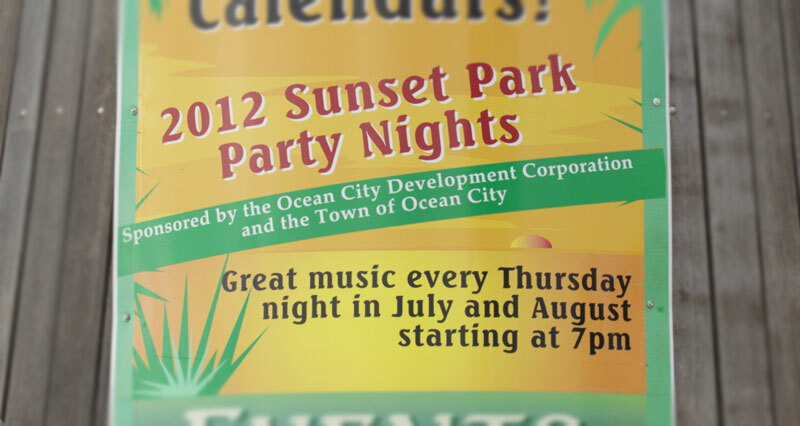 Live music every Thursday night in July and August at Sunset Park in Ocean City Md by the Oceanic Motel. Sunset Park is a beautiful little spot next to the Ocean City Md Coast Guard station and the Oceanic Motel on the corner of S Division and Philadelphia. Enjoy live concerts every Thursday night this summer! Admission is free and is recommended that attendees bring their own seating. See you there!